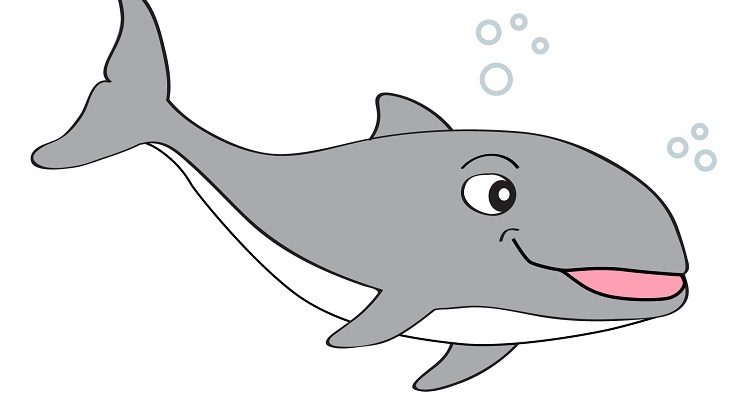 Bonn, 18 May 2014 – The mascot for the ASCOBANS Kids website, a little cartoon harbour porpoise, now has a name, Bubbles. It was suggested by Baleigh from Aberdeen, UK, who was one of many participants in the naming competition announced on the website in March, which received entries from a number of European countries and Canada. Bubbles has a wonderful task ahead of her: to help in educating children about cetaceans, the threats they face, and what can be done to help them. For this, ASCOBANS Kids provides a variety of resources, and more are still being added. We encourage children, parents and teachers to make use of the information and enjoy the interactive features. We chose a porpoise as a mascot because it is the flagship species of ASCOBANS. It is the only species that occurs throughout the Agreement Area, but it also really gives cause for concern. The Baltic Sea subpopulation, which is genetically and morphologically different from others, is critically endangered. Nobody knows exactly how many are left, but everyone agrees that it is in the range of a few hundred. Also, until very recently, nobody really knew whether porpoises still existed in the whole of the Baltic Proper. But thanks to a large-scale research project using about 300 click detectors, since February of this year we have been confident that they still occur throughout the sea basin (for more information, refer to www.sambah.org). Better estimates of the number of animals will follow when the data analysis is completed towards the end of 2014. It is clear, however, that there are not nearly as many as there should be for a healthy, stable population. Bubbles’ name is being announced on the occasion of the International Day of the Baltic Harbour Porpoise. It is celebrated every year in May, to introduce people to the small whale living off their coasts, and to raise awareness of its plight. This year, too, events are taking place around the shores of the Baltic Sea. You can read up on them on the Facebook Event Page.